Leadership Skills Development, your key to fulfilling your highest potentials as a leader. Everyone was born with leadership potential, but you must go through a process to become a leader. You will learn practical steps for developing the leader in you and increasing your leadership presence in your organization, business and community. As i guide you through this principles you will learn new skills, knowledge and gain understanding on what makes true leaders. You will understand what leaders have to do, not only bring positive influence to your business, community or organization, but also to ignite the fire in you, that will cause you to take action. Where are the genuine leaders? Where are individuals who are willing to take responsibility for the present situations and conditions in the world? Our homes are crying out for leaders, our youths are begging for leaders, our communities need positive role models, and our world needs direction. The world is in desperate need for true leaders, so let’s take a journey together and discover the leader in you. What is leadership Skills Development? Leadership Skills Development is simply the process by which an individual, organization or business expands its capacity or ability for growth and success. Leadership Skills Development is also a progression of an individual from a follower or manager to leadership. Here are the principles for leadership Skills Development! All leaders uncover a sense of meaning and purpose for their lives and organization that produces an awareness of their identity. Leadership Skills Development begins when a leader has found this awareness. This new awareness gives you and your organization a sense of value and worth that produces confidence in you and sense of direction. Leaders know what they want, what they want and why they want it. When you discover your true self and the purpose of your organization, a burning desire for accomplishment is ignited within you. Vision is simply your purpose in pictures. When a leader captures his vision, he sees how he is supposed to help the world. He first has to have a clear mental picture of his end. Vision is simply seeing your destiny mentally. Vision is the map that directs a leader to his destination, he might not know the process, but he knows his end. Inspiration comes when you capture a clear vision. You can only inspire people through your inspiration. When you become inspired by your vision, that inspiration becomes contagious and moves others to reorder their priorities. Sharing your inspiration causes your followers or employees to submit to a cooperate vision. This is when a leader sets out to accomplish his vision. It is the Practical phase of leadership development. Passion is a result of inspiration, it is the catalyst for leadership development. Passion is the root of self-motivation and energy that fuels persistence, consistency, resilience and action. Passion is the secret source of a leaders drive. When leaders fail, they always rebound because their passion leads them back. When a leader discovers his purpose and begins the journey of fulfilling it, he begins the process of developing his skills, attitude, and communication, knowledge in your area of gifting or area of specialty. You can only lead to the degree of your ability, skills and where you have gone. You lead your organization, passions, or gifts with the investment of your personality. 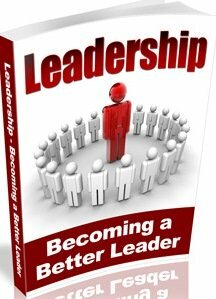 You need materials, books, tapes for leadership development. Find a mentor that has been there before you. Commit to Your Principles and Values. A leader commits to spiritual and moral ethics and truths that form his character, that enable him carry out his vision. Vision has inherent principles and values that need to be adhered to for vision to be fulfilled. True leadership therefore always includes a personal code of ethics, moral standards and values that safe guard’s character necessary for the leader to pursue and fulfill his or her purpose.Vision requires you to sacrifice pleasure for protection. Discipline Yourself For Your Vision. Leaders pose a deep dedication to personal discipline. Leadership focuses on self-sacrifice for the sake of service, rather than personal pleasure. A leader must pose a genuine love for people if not, he cannot lead effectively. You cannot lead someone you don't like. Your love for people will drive you to see the best in them. People don't care about what you say or do, until they know you care about them. The purpose of leadership is to raise other leaders. Leadership exists for the purpose of guiding others to a better future and improving their lives, skills and knowledge. A leader helps his followers to believe in themselves and their potentials. A leader sets the standard for his followers and influences them positively, giving them hope and deep conviction about their abilities to achieve greatness. If the skills and abilities of your followers or employees don't match your dream, you can't achieve it. You can empower to the degree of your development. Leaders build effective managerial teams and organize people of diverse gifts, talent and abilities to maximize their contribution to the whole team. Leaders know the strength and weakness of others and use wisdom when assigning them to particular teams. Your purpose determines the priorities and decisions you make. A leader must always distinguish between what seems to be urgent and what is truly important. Leadership is committed to the priority of preparing those who will fill the designated position in the future, those who will continue the legacy. Leaders know that their success is measured to a large degree by their successor. Being a leader is possible. Discovering your purpose is the foundation of leadership. Men and women can be leaders in their homes, business, department, organization or community. It all begins with a commitment to fulfilling your purpose. Study every leadership Development principle carefully, and as you personalize it and apply it to your life, business or organization, your leadership qualities will emerge.